Florida has long been a retirement destination for active adults from New Jersey who are looking to trade snowy winters for the balmy weather we experience practically year-round in the Sunshine State. In recent years, however, more and more prospective retirees have been worried about whether their retirement savings will stretch far enough to provide them with the fun-filled Florida lifestyle they’ve been dreaming of. If you’d like to spend your days strolling along a world-renowned beach or perhaps spending time on a deep-sea fishing charter, then Bear Creek near Daytona Beach is the place for you. 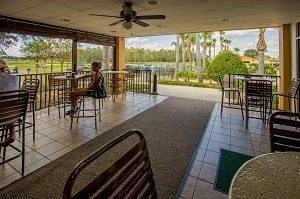 All of our communities are situated within an easy driving distance of top-rated golf courses, but Cypress Lakes in Lakeland features a 36-hole championship golf course inside the community. Getting Around by Golf Cart? If you’d like to enjoy fine dining and live entertainment without setting foot in your car, then Hyde Park near Orlando is for you. Residents of this community can hop in their golf carts and reach a bustling downtown district where there’s always plenty to do. Does your idea of a Florida retirement involve living a stone’s throw from the water? If so, consider moving to Lake Griffin Harbor in Leesburg. This is a boater’s paradise, with a clubhouse and homes nestled beside a 9,400-acre lake that’s teeming with bass. If you’d like to root for the home team year-round and be inside the stadium or arena when you do it, consider buying a home in StrawBerry Ridge. Professional baseball, football, hockey, and soccer teams are headquartered a short drive from this close-knit community on the edge of Tampa. Contact Blair Group today to find out how you can enjoy an affordable retirement lifestyle in sunny Central Florida. We’ll be happy to schedule a tour of one or more of our communities whenever you’re visiting this area from New Jersey.